Wondering what to pack for Belgium in winter? We’ve got insider tips from a local blogger and fashionista. 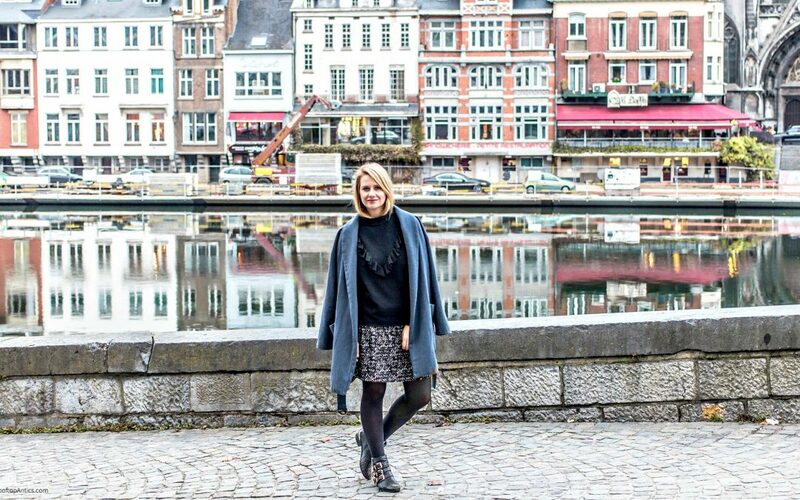 Read on to find out how to be fashion-ready for your visit to Belgium! Smack dab in the middle of Europe, the tiny country of Belgium has a lot to offer. Travelers are often familiar with the famous miniature statue “Manneke Pis”, city hall in Brussels, or the beautiful waterways and UNESCO heritage houses in Bruges. However, there’s so much more to see in Belgium than just Brussels and Bruges! Just as diverse as the sights of Belgium are the people and the fashion style. Brussels is filled with international businesspeople and boasts a classic style. Antwerp is the fashion capital of the country. It’s packed with creative thinkers and fashion lovers. Always wanted to wear a big faux-fur jacket? This is the city do wear it in! Leuven and Ghent are true university cities and thus have a casual and laid-back style. If you’re visiting the French-speaking part of the country, you could end up in the middle of the forest where you’d need decent walking shoes. Who knew such a small country could have so much diversity! Because Belgium is in the middle of Europe, you’ll want to be prepared for some gray European weather. It’s not as cold as the nearby Scandinavian countries, but proper winter clothing is definitely a necessity. Layering is key when traveling to a cold and often wet climate so your checklist on what to pack for Belgium should include interchangeable items that can easily be removed or replaced. Make sure you can take off a layer when going inside and that your shoes can handle cold and rain. Accessories like gloves, a scarf, and an umbrella are definite musts. Learn how to layer clothing! Let’s start with the basics. Visiting a small country such as Belgium involves a lot of walking. Whether you’re visiting cities by car or by train, you’ll likely always end up walking a few miles. Most Belgian cities’ tourist attractions are within walking distance; make sure you’re ready to walk stretches of 10-20 minutes several times per day. Good footwear is a must! Go for your trusted ankle boots or sneakers. Read this post on how to choose the best walking shoes for Europe! As you plan what to pack for Belgium, keep in mind that it can snow this time of year. Even though the white stuff usually doesn’t last long, you should chose footwear that will work in snowy conditions. It can quickly turn into a gray sludge, so make sure your boots or sneakers are waterproof with a rugged bottom, so you won’t slip. Don’t worry, though–actual hiking boots aren’t necessary unless you’re planning to hike through muddy forests in this weather. These are the rain and snow boots out readers recommend! As I already mentioned, you’re going to want to dress yourself for a proper European winter with average temperatures between 0-10°C / 32-50°F. Wearing a dress is only recommended if you have warm leggings, tights, or stockings. Most of the time, you’ll find the Belgians in one of their favorite pieces of clothing: jeans. Combine your jeans with a warm sweater and don’t forget a big, comfy coat. Belgians rarely leave the house without a scarf, even in summer, and you shouldn’t either. A warm fluffy hat and nice gloves are a big plus, too. Belgium often has rainy days or even short moments of rain on an otherwise sunny day. Carrying a small umbrella is always a good idea. Here are some tips on what to wear on a rainy day! Visiting the classics while wearing the classics – I don’t think there’s a better combination! What to pack for Belgium should always include neutral basics that offer versatility and the option to dress up or down. With the European parliament in the city and the headquarters of several big corporations and banks, you’ll notice an international business vibe in Brussels. It’s also where you’ll find yourself among the most tourists. Consequently, blending in with the locals is definitely preferred! 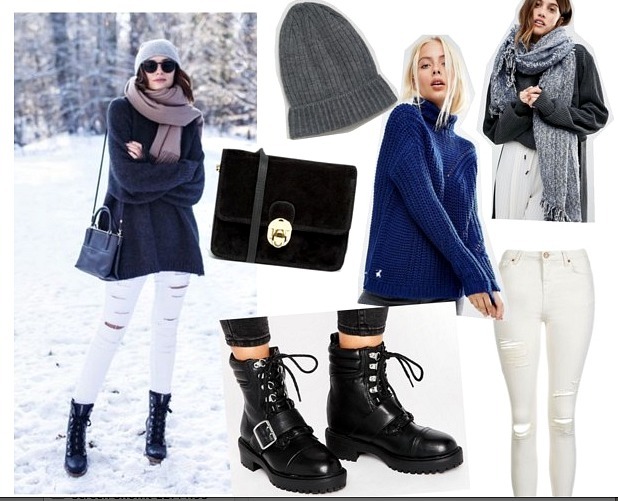 Go for some classic jeans and a nice pair of comfortable black boots combined with warm, high quality knits. A must in this city is a purse in which you can safely carry all your possessions. As with any city with a lot of tourists, you should be wary of pickpockets in Brussels. Find out how to keep your valuables safe while traveling! As the fashion and diamond capital of the country, Antwerp offers everything from luxury stores to hip little coffee bars. Due to the large number of fashion students in the city, Antwerp is the most fashion-forward city in the country. What to pack for Belgium in winter mostly has to do with the cities you’ll be visiting and in this case anything goes. 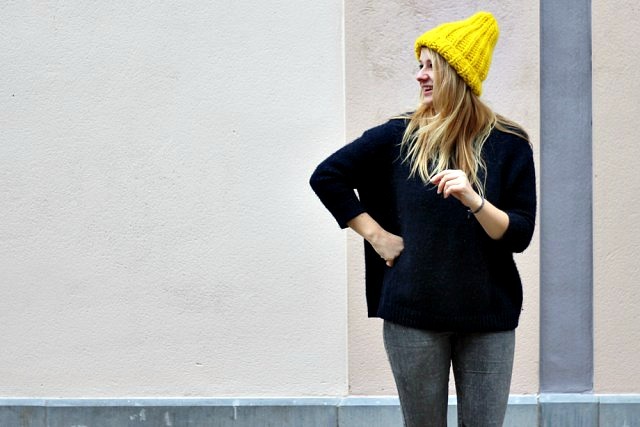 There are no rules for what to wear in Antwerp; it’s all about having fun with your outfit. Drop the basics and go for statement pieces. A big fluffy faux fur coat or the latest in denim trends? Everything is possible here! Combine it with a pair of white sneakers such as Stan Smiths or platform Keds and you’ll blend right in. There’s great shopping on the main shopping street of the city: “De Meir”. Add some stylish winter accessories to add life to a neutral wardrobe! If you have enough time and you’re lucky enough to experience snow, make your way to the south of the country. Here, you’ll find the one Belgian mountain and a wonderful hilly landscape. Even though Belgium is a densely built-up country, the south offers tranquility and a great escape from busy European cities. For hikes in the winter landscape, you’ll need some solid boots. Combine them with a pair of jeans and maybe even consider wearing stockings/tights under those jeans for warmth. A comfy coat, scarf, and hat combination will finish the look. To keep warm without the bulk, wear thermals underneath all your clothing! What are your tips on what to pack for Belgium in winter? Please comment below! 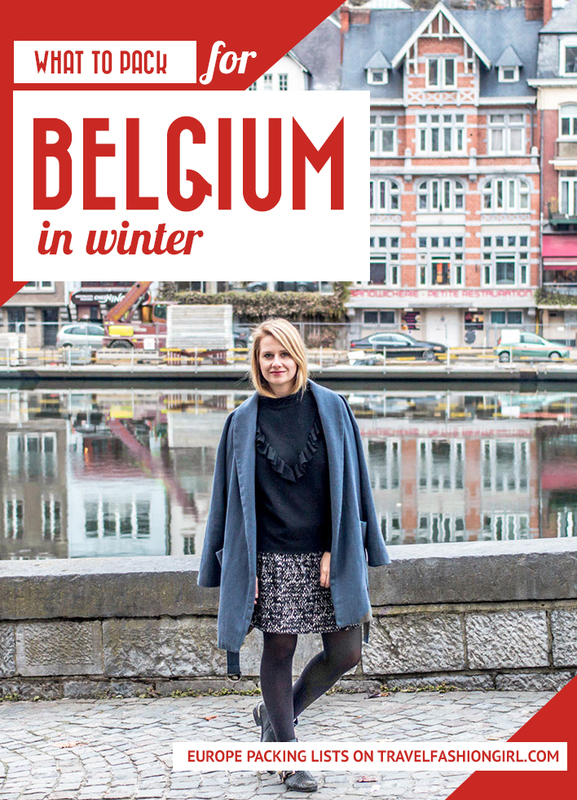 I hope you liked this post on what to pack for Belgium in winter. Please share with your friends on Facebook, Twitter, and Pinterest. Thanks for reading! Author Bio: Marijs left the fashion industry to travel the world two years ago. Leaving her shoes behind was one of the hardest things she’s ever done. For her, travel is all about seeing incredible nature and wildlife. The biggest bonus is meeting amazing people, telling stories and capturing moments on her blog Rooftop Antics. Thirty countries later, Marijs is now based in Australia, working remotely and traveling the rest of New Zealand, South East Asia and the Pacific Islands.